It's quick and easy to pay us online! Just click the "Pay Now" button below and you will be taken to the PayPal website. 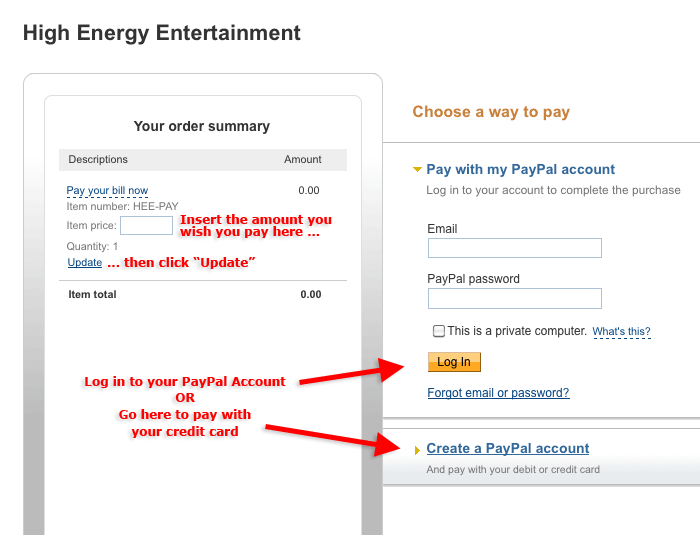 The screenshot below shows what to do when you get to the PayPal website. You can still pay with your credit card if you do not have a PayPal account.